as well as how far the category is diminished. You can filter which categories/unitframes to track for and more. Icons for each unit frame is separately configurable. 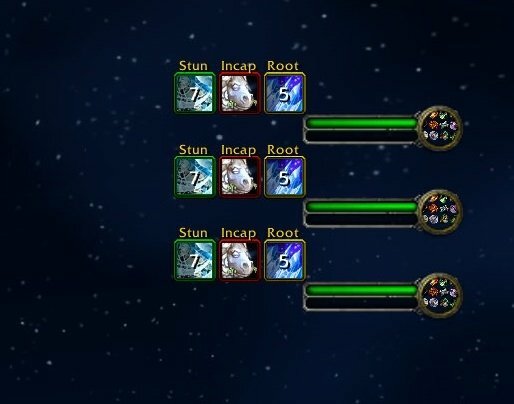 Certain unit frames are default disabled for tracking or only enabled for certain zones. You may also skin the icons using Masque. If you have minor experience with scripting, you can also open the file "Diminish/core/config.lua" to change font settings for indicator text or category text and also change indicator colors. - Diminish not working with an unitframe addon? Go to options and enable "Anchor to UIParent", then position the icons wherever you want. For party frames, try disabling "Use Raid-Style Party Frames" under wow's interface options instead. - Does not track knockbacks. - Add nameplate tracking for ElvUI v11. Old versions will no longer be supported. - Minor memory improvements when tracking DRs outdoors for a long period of time (non-instanced zones). - Fix Seduction not being tracked when Grimoire of Sacrifice is used. - Removed some obsolete spells. - Add Final Stand to taunt DR.
- Fix Lua error on addon first time loaded. - Add Haymaker (racial) for stun tracking. - Fix Deathchill root not being tracked when triggered by Remorseless Winter. - Fix bad anchoring for nameplate icons when using ElvUI nameplates. - Minor changes to options text. - Add sArena 3.0.0+ frame support. - Add Dead of Winter stun. - Add CompactRaidGroup1MemberX frame support. - Bump toc for patch 8.1. - Fix Mind Control not updating DR timer when aura ends. 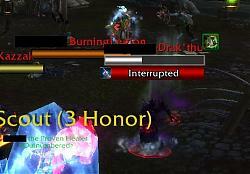 - Fix party frame anchoring bug for ElvUI when "player" (self) is shown in party frames. - Improved icon design when using Indicator Text. - Countdown size option is no longer global, you can now adjust it for every unitframe separately. - Add option for changing countdown text outline. - Removed cooldown finish effect animation. Icons now disappear immediately when the CD is over. - Increased font size for "Display DR Category Label" text when using a low UI scale setting. - Fix nameplate's testmode anchoring bugging out if target frame tracking is disabled. - Fix "Reset Position" giving lua error if Blizzard_ArenaUI is not loaded. - Fix raid frame anchoring not working if "Keep Groups Together" is checked in blizzard options. - Add Skeletal Hatchling Hex to DR list. - Increased draw layer for icons. - Changed some default configuration values. This will affect fresh installs only. 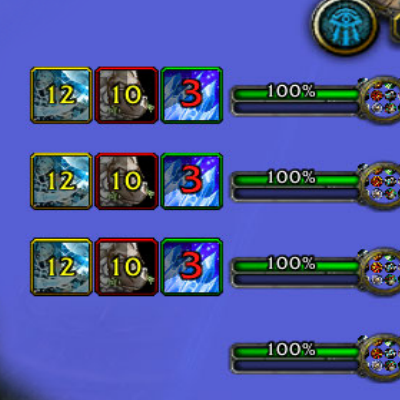 - Borders for "Show Indicators Using Text" mode are now using default Blizzard icon borders. - Fix timers not being deleted immediately for non-player units on UNIT_DIED event unless they've been targeted twice. - Fix nameplate tracking not working if target, focus & arena tracking are disabled. - Fix toggling certain options sometimes not updating icons for nameplate/arena tracking until reload ui. - Add button for unlocking frames to *all* options pages. - Add Double Barrel to stun DR.
- Add Frozen Center, Hooked Deep Sea Net to root DR.
- Add Island Expedition consumables to DR list. - Add new zone option "Scenario". This is for Island Expeditions etc. - Minor performance optimizations for timers. - Replaced "Grow Left" option with dropdown for all grow directions. - Add option to manually select icon used for DR categories. - Add German translations, thanks to Pas06. - Add DR category translations for all locales. - Add some missing professions spells i.e engineering grenade. - Fix arena icons not working with Tukui. - Add option to anchor icons to UIParent (screen). - Fix minor profile issues. - Fix Lua error on entering arena if AceAddon is loaded. - Profiles are no longer auto created on changing an option on a new character. There's now an option to manually create instead. - Add option to use/share an existing profile instead of just copying profile variables. Any changes to a shared profile will affect all characters using the profile. - Fix target/focus tracking not working for arena brawl mode. - Fix "Show Own Textures Only" option not working when spell is triggered by player pet. - Minor improvements to options panel. - Fix Lua error on loading screens when player frame tracking is disabled. - Fix timers sometimes showing incorrect border color when refreshed on ~1s duration left. - Fix timers being reset on hunters using Feign Death outside of arenas/battlegrounds. - Fix target/focus icons on a very rare occassion not updating position correctly. - Fix deleting profile sometimes not updating dropdown until reloadui. - Fix copying profile not working if not using Default profile. - Fix repositioning icons not updating until reloadui after having reset your profile. - Renamed colorblind mode to "Show Timers Using Text" also changed look of this mode. - Fix sometimes not tracking timers until next loading screen if you toggle an option inside arena. - Fix timer not updating countdown for OmniCC users. - Fix options not fully loading if shown in combat. - Add option to track mobs & player pets. - Diminish now works for both BfA beta and Legion 7.3.5. - Add colorblind mode option. - Add option for changing border styles. - Removed border glow/blend effect. - Tracking for PlayerFrame is now default set to enabled. - Add support for oUF, GW2 UI, Pitbull, SpartanUI, gUI4, Discord Unit Frames. - Fix toggle frames not working with ElvUI. - Fix Feign Death sometimes removing timers for hunters outside arena. - Fix border indicators not being shown for some Masque skins. - Fix bug introduced in previous update that removes active timers on target switched. - Minor optimizations & improvements. - Note: Upgrading from an earlier version to this version will wipe all custom settings at first load. - Increased frame strata for icons. - Fix profile copy/delete button not updating dropdown after being ran. - Fix moving party1 anchor not auto moving party2/3. - Fix changing icon size not working until reload ui. - Anchor bar for moving icons now have less width due to accuracy issues. - Memory improvements for timers. - Add correct spell IDs for Shockwave, Stormbolt, Fel Cleave, Hibernate. - Fix option "Show Own Textures Only" not working. - Remove player "Attach to Raid Frames" option. It is now shown player timers for both PlayerFrame and raid frame if those are toggled on. - Fix icons sometimes not disappearing after timer ended. - Add focus/target/party/self and friendly DR tracking. No longer arena only! - Add GUI for options. - Timers now have indicator color green->yellow->red instead of none->yellow->red. - Update spell list for BFA. Let me know if any spells are missing or incorrect. 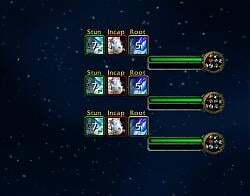 - Add Lightning Lasso to stun DR.
- Bump toc for patch 7.3.0. - Added new option for icon padding. - Added some missing versions of Entangling Roots. - Command /diminish now triggers max 3 categories at once per arenaframe. - Update for patch 7.2 & added some missing spellids. - Updated .toc for patch 7.1. - Added a few more spells for tracking. - Added more legion spell IDs. - Updated for legion. Some spellIDs may still be missing/incorrect. - Removed shared tracking of DRs between BM hunter & their pets. - Options are moved from Diminish.lua to Config.lua. - Added options for color indicators on countdown text (default off) & borders. - Added option for reverse grow. - Removed MAX_UNITS option. 5 is now default. - Fix cooldown swipe background covering border edges. - Possibly fix for DRs not being tracked in certain situations. (I.e when reflected) !UNTESTED! there is also Arcane Torrent and martial choc and spell 22703 ? they're not. But im not able to test/verify it myself though, as I don't play wow anymore. I'm not sure about monk ox wave, but druid fae glyph can't be tracked properly I think, as there is no way to see if it's the glyphed version or unglyphed. I'll look into the monk spell, thanks. Last edited by Taudier : 03-14-16 at 04:45 AM.